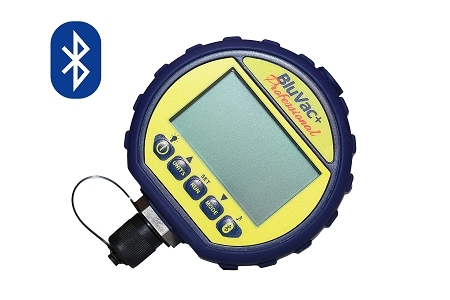 Works directly with the BluVac, and MeasureQuick apps! See the "Software / App" tab for more info. 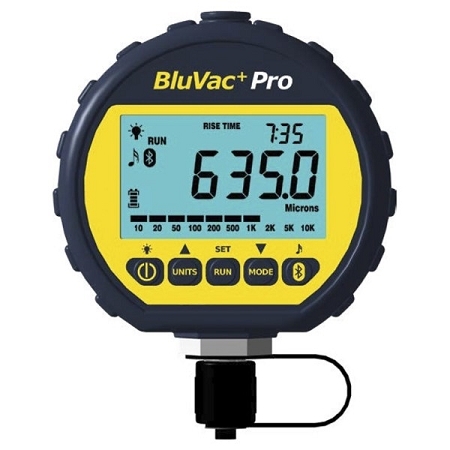 BluVac Professional Plus is designed to not only give you fast and accurate readings, but it will also be able to provide those readings to you via Bluetooth. 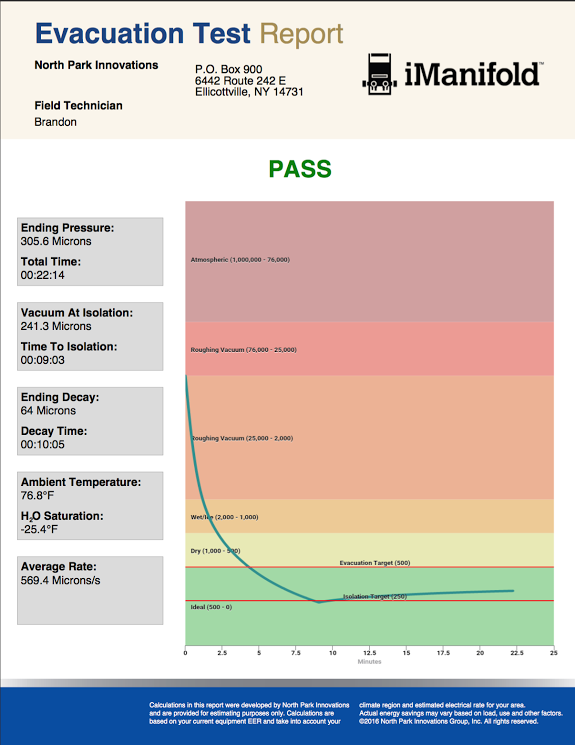 Exciting yet the BluVac Pro Plus is able to work with the iManifold / iConnect app for a complete report. The AccuTools BluVac Professional Digital Vacuum Gauge is the most accurate and precise vacuum instrument available today with patented technology that cannot be found anywhere else. 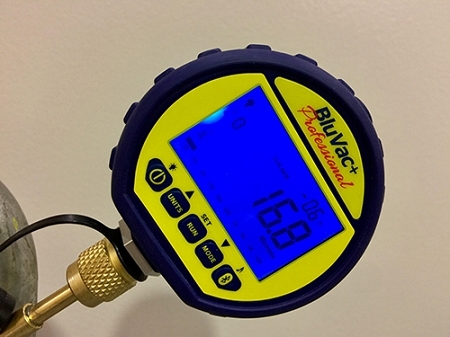 With the BluVac Pro, you can accurately measure vacuum pressure in Microns, Pascals, Millibar, Millitorr, mmHg, PSI, and inHg with resolution down to 0.1 micron. 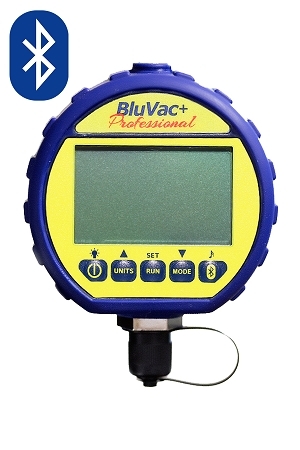 Ideal for the HVAC/R, Industrial, and Scientific professionals, the BluVac Pro is small, lightweight, rugged and easy to use. It is programmable, allowing for unattended evacuation and rise-time testing of HVAC/R systems of all sizes. Dimensions 3.5" x 3" x 1.25"
Android and iOS devices with Bluetooth connectivity. BluVac for both Android and iOS. MeasureQUICK for both Android and iOS. 298 TruReward$ points will be placed in your account when you buy this item.